Most work that we do costs about half of major stores, and we provide more. The KC IT Guy's experience comes from large corporate environments. From working on large corporate application support and development projects, to working at Oracle HQ in California's Silicon Valley writing parts of some the applications that they still sell to this day. 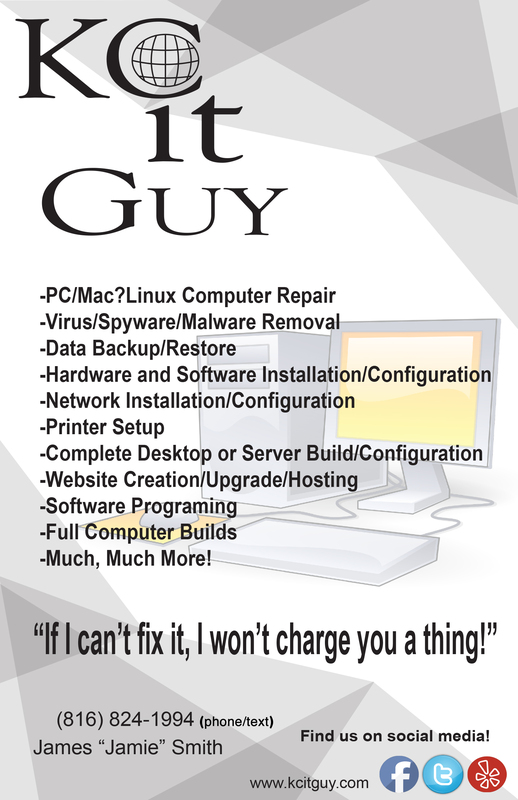 Let us handle your personal and business application and hardware support needs. Having written and released free content and applications ourselves, we try to use as much free software as possible to decrease costs to our clients. To see more about Jamie go to the about Jamie page. 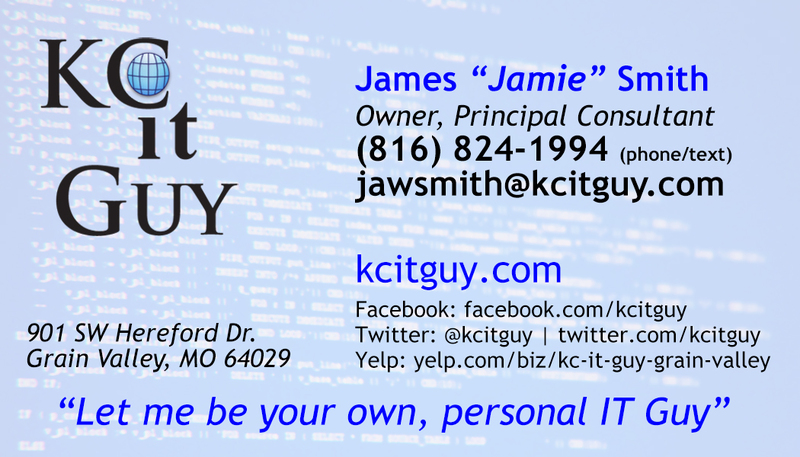 To see the websites that we have done, recently, go to the KC IT Guy Portfolio Page. If you are a non-profit and need help, please feel free to contact us. We may be able to help you out.